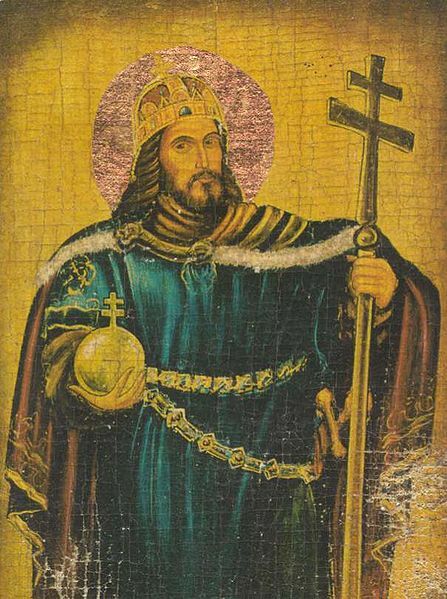 GEYSA, fourth Duke of Hungary, was, with his wife, converted to the Faith, and saw in a vision the martyr St. Stephen, who told him that he should have a son who would perfect the work he had begun. This son was born in 977, and received the name of Stephen. He was most carefully educated, and succeeded his father at an early age. He began to root out idolatry, suppressed a rebellion of his pagan subjects, and founded monasteries and churches all over the land. He sent to Pope Sylvester, begging him to appoint bishops to the eleven sees he had endowed, and to bestow on him, for the greater success of his work, the title of king. The Pope granted his requests, and sent him a cross to be borne before him, saying that he regarded him as the true apostle of his people. His devotion was fervent. He placed his realms under the protection of our blessed Lady, and kept the feast of her Assumption with peculiar affection. He gave good laws, and saw to their execution. Throughout his life, we are told, he had Christ on his lips, Christ in his heart, and Christ in all he did. His only wars were wars of defence, and he was always successful. God sent him many and sore trials. 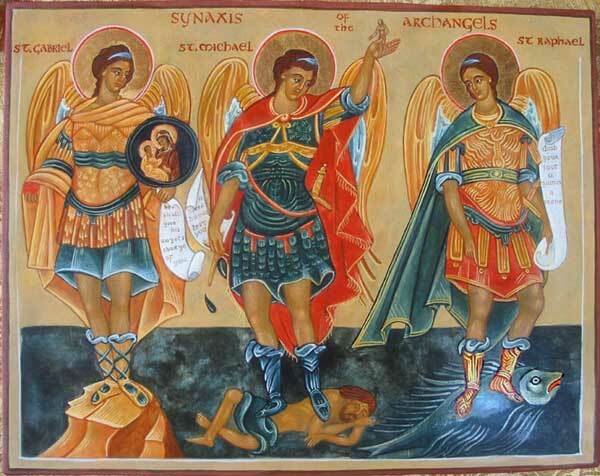 One by one his children died, but he bore all with perfect submission to the will of God. When St. Stephen was about to die, he summoned the bishops and nobles, and gave them charge concerning the choice of a successor. Then he urged them to nurture and cherish the Catholic Church, which was still as a tender plant in Hungary, to follow justice, humility, and charity, to be obedient to the laws, and to show ever a reverent submission to the Holy See. Then, raising his eyes towards heaven, he said, “O Queen of Heaven, august restorer of a prostrate world, to thy care I commend the Holy Church, my people, and my realm, and my own departing soul.” And then, on his favorite feast of the Assumption, in 1038, he died in peace. My dearest son, if you desire to honor the royal crown, I advise, I counsel, I urge you above all things to maintain the Catholic and Apostolic faith with such diligence and care that you may be an example for all those placed under you by God, and that all the clergy may rightly call you a man of true Christian profession. Failing to do this, you may be sure that you will not be called a Christian or a son of the Church. Indeed, in the royal palace, after the faith itself, the Church holds second place, first constituted and spread through the whole world by His members, the apostles and holy fathers. And though she always produced fresh offspring, nevertheless in certain places she is regarded as ancient. However, dearest son, even now in our kingdom the Church is proclaimed as young and newly planted; and for that reason she needs more prudent and trustworthy guardians less a benefit which the divine mercy bestowed on us undeservedly should be destroyed and annihilated through your idleness, indolence or neglect. My beloved son, delight of my heart, hope of your posterity, I pray, I command, that at very time and in everything, strengthened by your devotion to me, you may show favor not only to relations and kin, or to the most eminent, be they leaders or rich men or neighbors or fellow-countrymen, but also to foreigners and to all who come to you. By fulfilling your duty in this way you will reach the highest state of happiness. Be merciful to all who are suffering violence, keeping always in your heart the example of the Lord who said: “I desire mercy and not sacrifice.” Be patient with everyone, not only with the powerful, but also with the weak. Finally be strong lest prosperity lift you up too much or adversity cast you down. Be humble in this life that God may raise you up in the next. Be truly moderate and do not punish or condemn anyone immoderately. Be gentle so that you may never oppose justice. Be honorable so that you never voluntarily bring disgrace upon anyone. Be chaste so that you may avoid all the foulness that so resembles the pangs of death.